An essential element of any satisfactory watering hole is the atmosphere, often composed by the people in it. Or those who walk past it in full view of the drinkers, much like models on a catwalk. People watching, while a global pastime, is more popular in some countries than others; some cultures seem to have founded their café culture – nay their entire culture – around this, (cue France and Italy), while others seem utterly uninterested in observing their fellow countrymen, such as Germany. 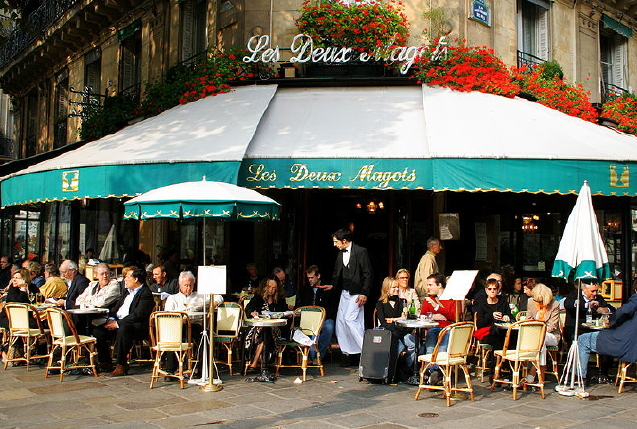 There are different degrees of people watching, from the completely disengaged style, watching surreptitiously from below some café’s great awning, to the all-immersive observing in a lively bar where the world and his dog meets for a drink, where one is willingly sucked into the animated conversations going off on all sides. We’ve tried to get a good spread of all the different types of people watching, from casually observing people busily getting on with life, to celeb spotting, to picking up style hints from the well-heeled Glameratti of the world.